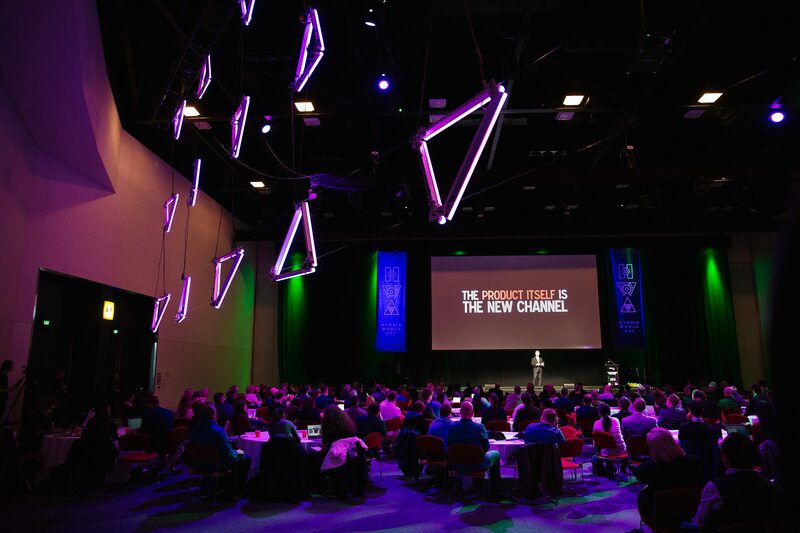 After a successful inaugural event in 2017, Hybrid World Adelaide returned in 2018 with a new home in the heart of the city of Adelaide. And once again, Novatech were proud to partner with Hybrid World in using the boundaries with technology and exploring how the digital world interacted with the real world. 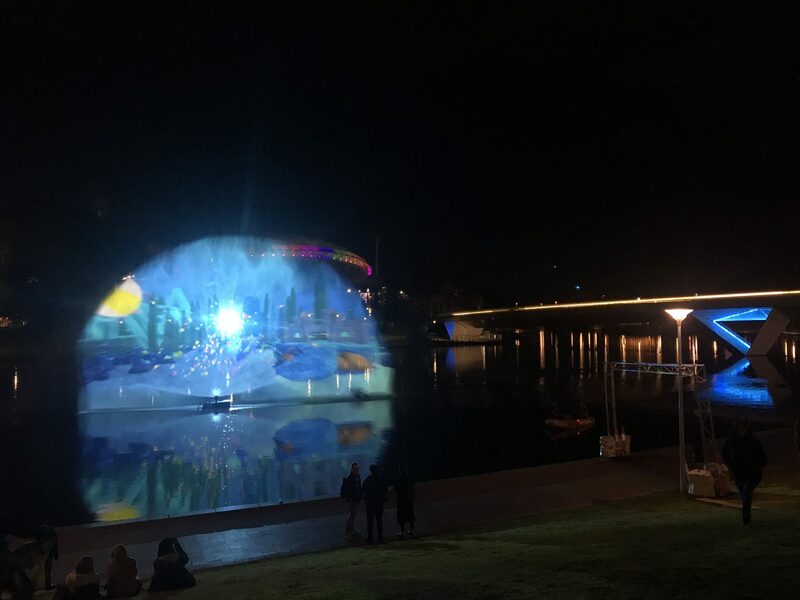 One of the centrepieces of this year’s public program was the Torrens River Water screen presented by Hybrid World and Novatech. Presented over four nights, the water screen was designed as a place where animators and content creators could display their artwork in a public arena. The large water screen was supplied by Laservision which was placed in the middle of the Torrens River outside of the Adelaide Convention Centre. Novatech then supplied cutting edge 4K laser projection technology to display crisp images onto the fine water sprays that is the water screen. Novatech deployed their Barco UDX-4K32 laser projectors to shoot over 40m onto the water screen near the opposite shore of the river. This was powered by the Barco E2 presentation switcher that allowed the 4K images to be mixed and sent via a complex distribution network under the river. Allowing content to be displayed in ultra-high definition that is 4K, ensured the content creators images were shown in the highest quality possible. Along with the water screen, Novatech supplied a variety of high end event technology such as LED panels, LED tube lighting, audio systems and lighting systems to help bring the digital world to reality. Set amongst a program of public and conference streams, Hybrid World allowed people from around the world to explore the fast evolving field of technology and how it interacts and impacts on people’s every day life.